A number of staff and customers took part in activities to mark the first ever National Safeguarding Adults Week. Some were able to hold meetings with customers to discuss the issues raised throughout the week such as; staying safe online or financial abuse and hate crime. Others invited guest speakers in to talk about staying safe in the community. 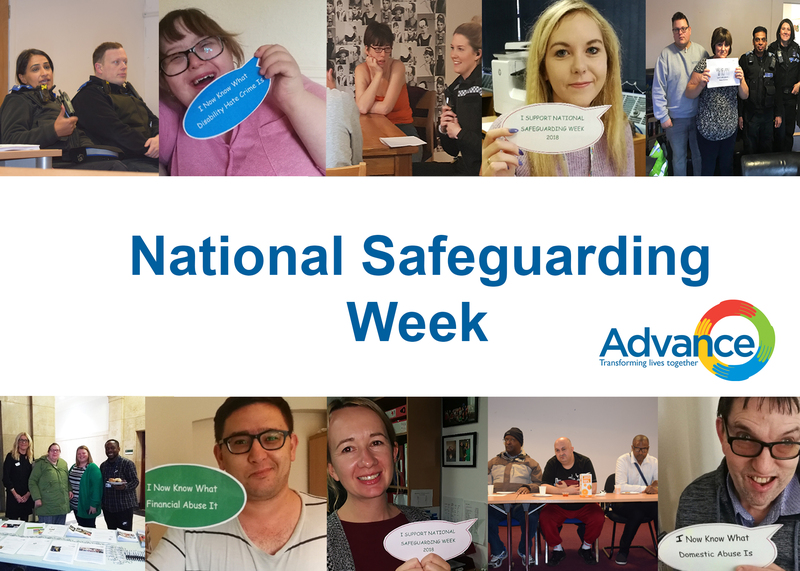 The objective of the week was to raise awareness of the importance of safeguarding vulnerable adults and to emphasise that we all have a role to play. Behind the initiative was the Ann Craft Trust which is also the driving force of a network that Advance belongs to, which includes Sense, Choice Support, Dimensions, Voiceability, United Response, Brandon Trust and MacIntyre. The date is in our planning diary for next year's campaign and we look forward to working together with other organisations in the network to raise awareness, improve policy and guidelines.